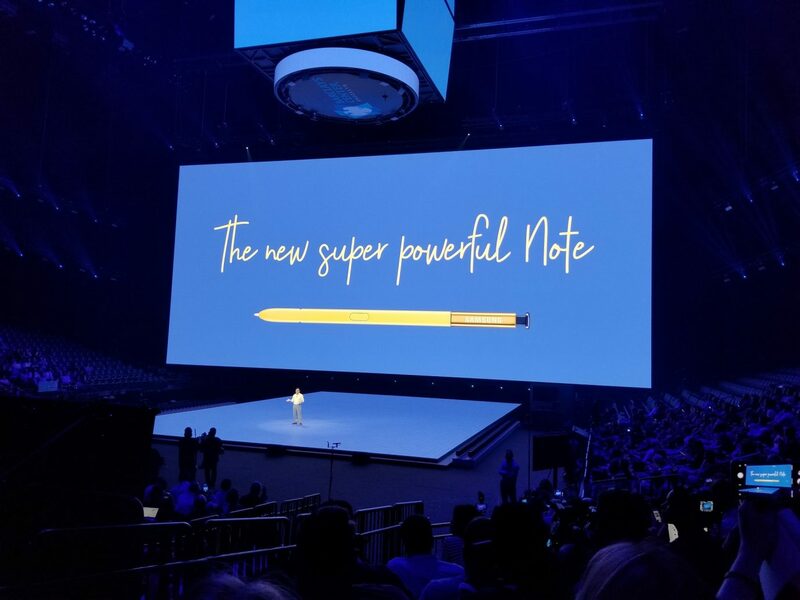 Samsung today unveiled the Galaxy Note 9 at its Unpacked event to take on Apple’s upcoming 2018 iPhone lineup. The 6.4-inch Note 9 will take on Apple’s largest iPhone till date, the 6.5-inch iPhone X Plus when it launches next month. Note 9 also includes louder AKG speakers, a USB-C port for charging and data transfer, a 3.5mm headphone jack, a fingerprint reader on the rear side, Samsung’s useless iris scanner on the front side, IP68-rater water and dust-proofing, the faster LTE Cat.18 standard (up to 1.2 gigabits per second) and more. Unlike the Galaxy S9, the Note 9 continues to feature a horizontal dual-camera setup at the rear. The fingerprint sensor has been moved below the camera housing to make it easier to reach. 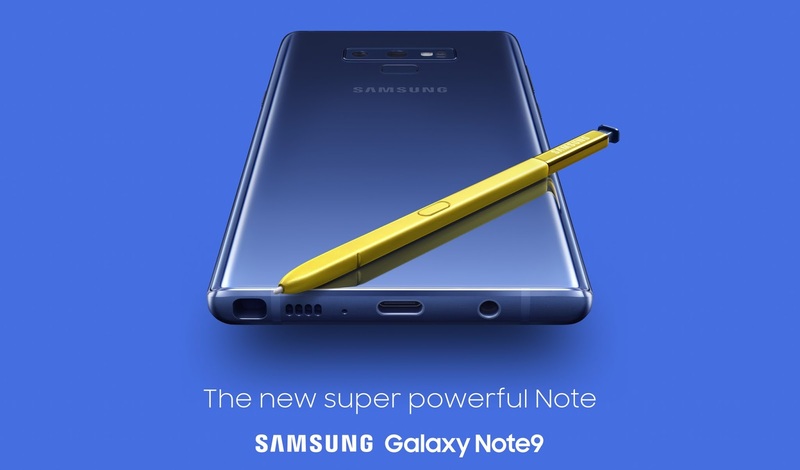 The Note 9 continues to feature an aluminum chassis sandwiched by Gorilla Glass panels at the front and rear. For comparison, Apple switched to a stainless steel chassis with the iPhone X last year and the same trend will continue this year. In terms of specs, the Galaxy Note 9 has largely the same internals as the S9+. Depending on the region, it will come with either a Snapdragon 845 chipset or an Exynos 9810 chip. To keep heating issues at bay, the phone comes with an advanced cooling system. This will be paired with 6GB RAM, 128/512GB of storage space, microSD card slot, and a 4,000mAh battery with USB-C connectivity. Thankfully, apart from not jumping on the notch bandwagon, the Note 9 also continues to feature a 3.5mm headphone jack. The highlight of the Note 9 is the brand new S Pen. It now features Bluetooth connectivity which greatly enhances its overall capabilities. Apart from being able to detect 4096 pressure points, the S Pen can also be used to switch camera modes, change presentation slides, and more. The S Pen now features a supercapacitor to power its Bluetooth LE connectivity. This allows the S Pen to charge itself in just 40 seconds but it only offers a standby time of just 30 minutes. Available in the 6GB RAM/128GB storage (expandable to 512GB via microSD) and the 8GB RAM/256GB storage flavors (expandable to 1TB via microSD cards), respectively priced at $999 and $1,300, the new Galaxy Note 9 can be had in Midnight Black, Lavender Purple and Metallic Copper with matching S Pen, as well as Ocean Blue with a Yellow S Pen.